The medical space is on the verge of a major shift as medical cannabis is set to be legalised from the beginning of November. 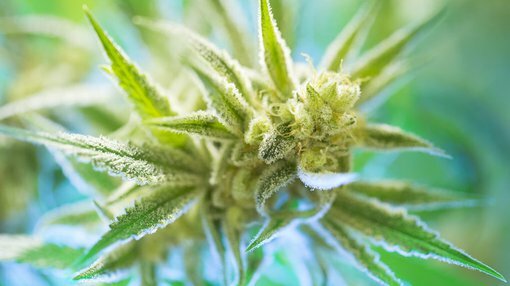 The landmark decision by the Therapeutic Goods Administration will allow those prescribed medical cannabis to consume the plant, however maintain that the natural substance remain strictly controlled. The decision by the TGA follows from the Federal Parliament’s ruling to change the Narcotics Drugs Act to allow cannabis to be legally grown in Australia if it’s for medical purposes. It seems the public perception surrounding cannabis is shifting as people become educated on the benefits the plant heralds in the medical space, let alone all the other benefits it offers in other industries, such as the use of hemp, biofuels and food. Clinical trials around the world are providing strong evidence that cannabis helps patients dealing with chronic pain, epilepsy and cancer with little to no side effects. The cannabis plant can also be used to help stimulate appetite for those with HIV, treat inflammatory bowel disease and migraines. If the evidence surrounding medical cannabis continues to come in positive it is likely that we will see the plant and its compounds tested on other illnesses. Further evidence breaking the stigma surrounding marijuana is Colorado and Washington’s decision to legalise the recreational use of the plant. The two states have seen major revenue inflows derived from taxes on the newly created marijuana industry, a reduction in both crime and dependence on traditional prescription drugs, particularly with regards to pain management. Now Canada is set to legalise marijuana for recreational use next year. Uruguay passed laws to legalise the growing and use of the marijuana plant in 2013 which has seen positive benefits for country including reduced drug related crimes. Portugal legalised marijuana 15 years ago in 2001 and has seen use of heavy drugs plummet and drug related crimes plunge since. The once demonised plant, that was labelled by the Ronald Reagan administration as the most dangerous drug of its time, may soon be replacing many synthetic drugs currently on the market. Perhaps Reagan was right, cannabis may be the most dangerous ‘drug’ but to who? The coming decade may see a shift back towards natural plants and medicines in the treatment of diseases, rather than synthetic drugs. The biggest crime committed may not be from people using the plant for medicinal purposes, but those who have kept such a medicinal plant from the public for so long. Either way public opinion is shifting in favour for cannabis use in what will inevitably become a multi-billion dollar global industry going forward. Investors may want to start looking at ways to gain exposure to the industry that is seemingly in its infancy. MGC Pharma (ASX:MXC) – has a pharmaceutical line of products targeting acne, psoriasis and other common skin conditions using cannabis based products. MMJ Phytotech (ASX:MMJ) – focused on medical cannabis delivery systems with two cannabis growing facilities located in Canada. Creso Pharma (ASX:CPH) – focused on pharmaceutical grade cannabis, hemp-based products and nutraceuticals. However note that these stocks are speculative, and a successful investment is no guarantee. Seek tailored professional advice before making an investment.